WANT TO LEARN TAI CHI &/OR QIGONG? PLEASE EMAIL ME YOUR COMMENTS, SUGGESTIONS. Amazing opportunity to share Qigong with Utah on Fox 13 with Big Buddha! 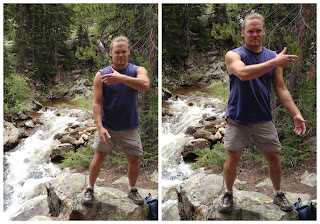 5 reasons to try Tai Chi or Qigong Now!!! To schedule a FREE intro to Tai Chi Easy, Tai Chi, Vitality Enhancement Qigong, Medical Qigong and Inner Alchemy Qigong. Qigong/Chi Kung- (pronounced chee gung) means energy cultivation or practice, and originated in China as far back as 500 AD. It is a mind-body moving meditation program that combines gentle, flowing movements with stretching, deep breathing, self-massage and mindfulness. Qigong is a restorative exercise that builds your vital (life) energy (Chi), improves posture and balance, decreases stress, induces a deep sense of inner peace and more. Both Qigong and Tai Chi have several ‘forms’ involving different patterns of movement, with Tai Chi forms often being longer and more complicated. Tai Chi and Qigong are ancient mind-body practices for Health Enhancement, Self-Care and Restorative Exercise. Scott offers sessions that are easy to follow, yet allow students an opportunity to expand their practice over time. For more videos showing what we teach please go to our YouTube channel. Tai Chi (Taiji) is an internal martial arts style from China and means 'balance and harmony' in Body, Mind, Spirit and LIFE. It is also a very effective health exercise and moving meditation. Scott White offers sessions that are easy to follow, yet allow students the opportunity to expand their practice over time. "When you cultivate Balance & Harmony in yourself or the world – that is Tai Chi. When you work & play with the energy and essence of Life, Nature and the Universe – that is Qigong." movement form or even the shortened (24, 36, 42 movement) form to enjoy the calming emotional and health benefits of Tai Chi (Taiji). “The flowing movements of tai chi contain much inner strength, like water flowing in a river, beneath a tranquil surface there is a current of immense power, the power for healing and wellness. Research is confirming that Tai Chi and Qigong, Chinese wellness practices for Mind-Body health, prevent and heal disease and relieve pain. Learn why Tai Chi and Qigong are the ultimate for wellness and self-care. How Can Tai Chi and QiGong Benefit Your Life?